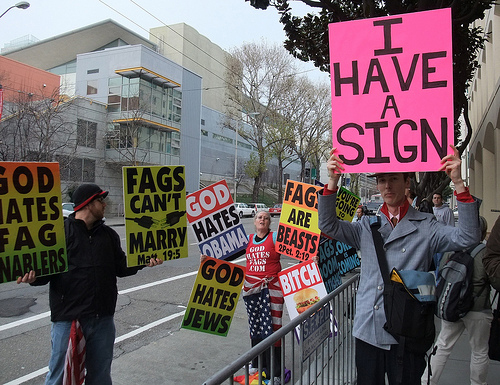 The anti-semetic and homophobic Westboro Baptist Church (its website the sensitively named godhatesfags.com) tours America and stages picket hate-a-thons outside institutions it believes ‘God Hates’ with a variety of placards and signs. The genius EDW Lynch (with pink sign below) decided to join them in San Francisco. 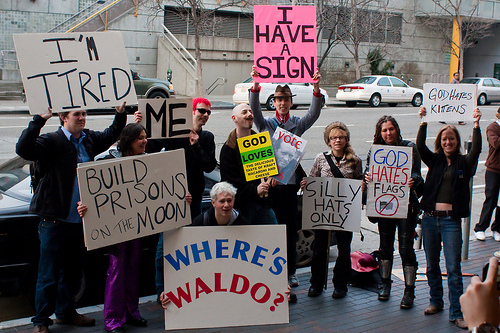 Check out www.tinyurl.com/laughsquid to see video, more signs and a way to create your own sign in case the WBC appear at a venue near you. SO love them. Two-finger typing is sure as hell better than one – I got pretty sick of using my nose to operate the shift key(!). 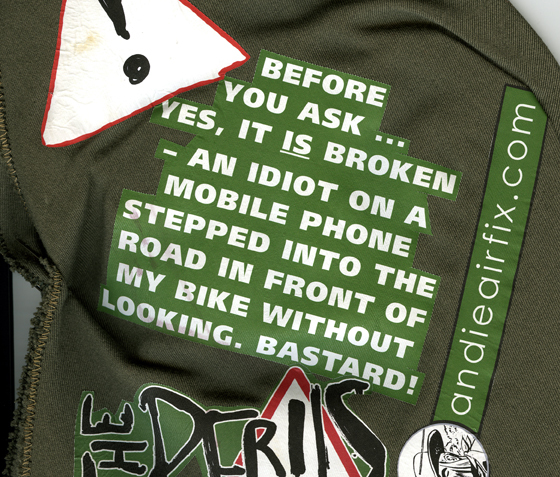 Hi Andie, Thanks again for the great story and history of the artwork – truly fascinating. I’m loving the blogs and now the contest – here is my entry for the Best Fan Story Contest. 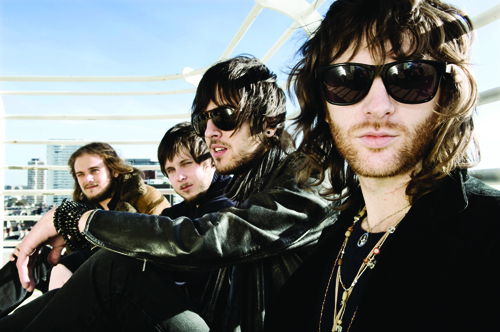 It’s a bit of a twist as it has to do with the band but in a different light. It all started with the Def Leppard Lip Sync contest earlier this year. Being the huge fan I am – I figured it only made sense to enter when you have only idolized the band for over 25 years and you would do almost anything to meet them – right? Their music has touched every aspect of my life from waking up to “Let’s Get Rocked” to driving home from work to “Desert Storm and Fractured Love” and as loud as you can get. So I entered the contest knowing that I would be one of hundreds and keeping in mind that now my son would definitely have evidence to commit me when the time came around…LOL! As I uploaded the video to youtube.com, little did I know entering this contest would bring me one of the greatest gifts ever – a life long friendship with another Lep Fan, named Talia. Talia and I both entered the contest and we had complimented on one another’s videos. I had met several other fans during that time on line but something just clicked with us – it was like I had found a long lost sister. We both had an obsession with Joe (lordy…who wouldn’t) and I shared with her my original obsession with Steve Clark. As the contest went on – we found we not only had Def Leppard in common but our lives were so parallel it was just unbelieveable. From similar jobs to life experiences – I often refer to her now as my “sister from another mister”. Talia was fortunate enough to be one of the contest winners to win a meet and greet with “our boys” as we like to refer to them. She was so gracious and shared every moment with me through email and videos. We kept in touch throughout the whole experience. I felt like I was right there with her and her hubby, Alex when she told the story. She was so excited and I was so happy for her. When it came time for her to do her video of her experience and send it off to be put on the website – she asked me to take a look at it. She also had told me she had made a mentioned of me in the video in a prior email. It really touched my heart that someone who I had never met would do something like that – it actually brought me to tears. I knew we had become close but it just validated to me the kind of person she was and that our friendship was definitely going to be something that lasted a lot longer than this whole contest experience. Anyhow, Im sure that her husband is now thrilled to have someone else to fuel her obsession with Def Leppard because I’m sure he doesn’t hear enough about them now! LOL! Today, Talia and I have yet to meet as we live in different states and time zones but we talk weekly if not daily through facebook and still share our Def Leppard stories, memorabilia ,etc and now aspects of our personal lives. We are planning to go to a DL concert together once they come back to the states in 2011 (hopefully sooner as I’m in Leppression right about now!). 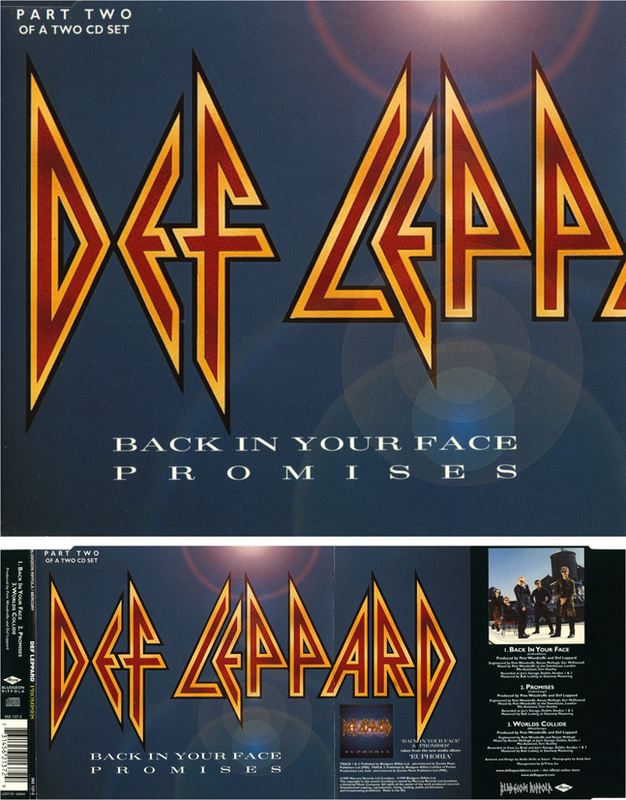 So to wrap up, we call it fate that Def Leppard decided to open that lip sync contest up to it’s fans. Even though I didn’t win the contest – I feel like a winner as I was blessed with one of the greatest gifts ever – a life long friend and LEPPAL! Now you can’t beat that! Back in late 1982, my family was a quite normal suburban American family. It was my dad, my mom, my sister and me – the little brother who’d not yet been introduced to rock ‘n’ roll music. While they were at the show, for some reason (I’ll never know), my mom, noticed that one security guard seemed to be taking light abuse (joking around) from his co-workers. So, my mom, who was quite beautiful, strolled up to that one security guard, took his arm (as if they’d known each other forever), shut up the coworkers and gave his ego a little boost. In early 1984, it came time for my first concert. I asked to go to see my favorite artist, Ozzy Osbourne. Being fair, my mom gave me the same deal and took me to the show. When we arrived, she tracked down that security guard. Remembering my mom, he upgraded our nosebleed seats to side stage and, just before show time, he took us backstage to meet a true rock star and the Godfather of Heavy Metal – Ozzy. 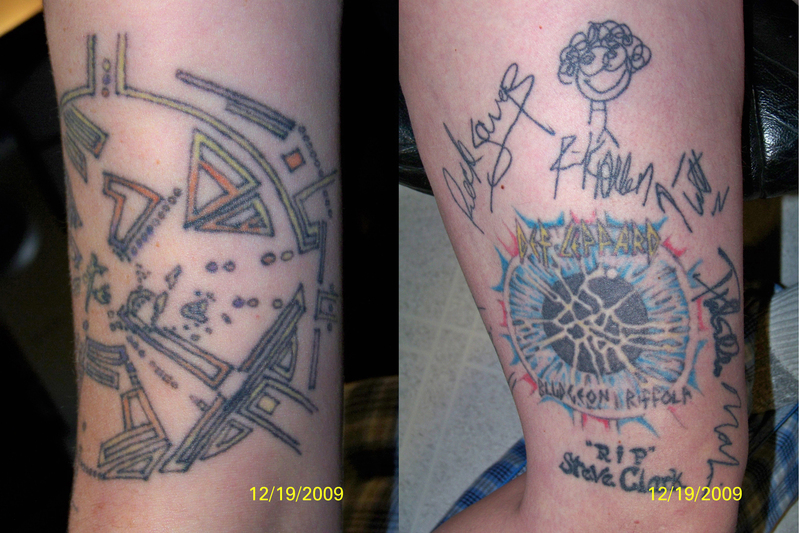 As the months and years went on, my mother and I went to many shows and I was lucky enough to get front row to Van Halen, an Alex Van Halen drum stick, a personalized autograph from Billy Idol, and, in 1987, awesome seats and After Show passes to meet all five of my rock idols – Def Leppard. These events and the surrounding encouragement influenced me greatly and set me on a lifelong path of a deep love and appreciation for music, the ambition to be a professional musician myself, and the belief that anything is possible. So, my story is actually about the one person who ever graced this Earth of whom I am (and always will be) a true fan…my mom. I love you and miss you, Mom. 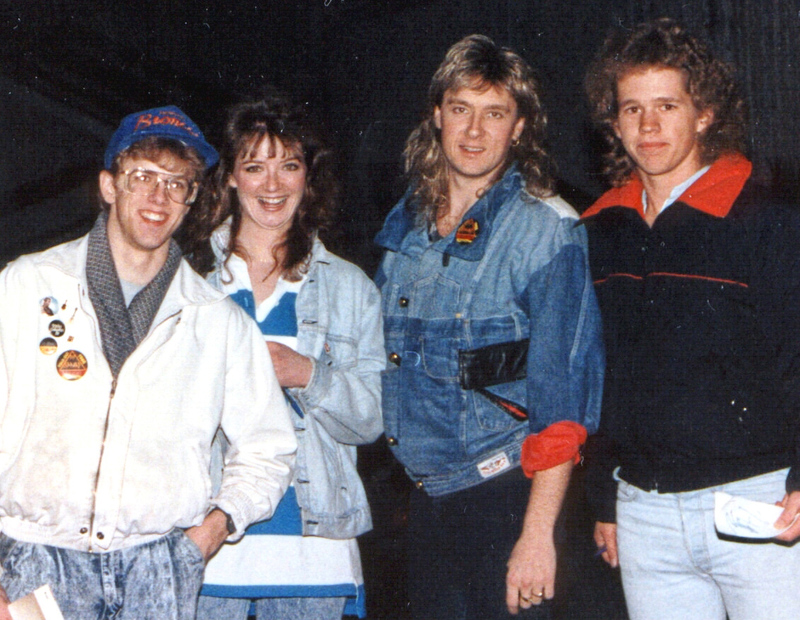 Ok, well my fan story comes from way back in 1996 when def leppard were coming to the end of their UK Slang tour. At the time I was a member of the then Def Lepp fan club and luckily for me I managed to win 2 tickets to their Rocking The Campus gig at Exeter University on november 28th!!! So I was happy, in fact very happy! only thing was to find someone to take with me. Anyway, I had a female friend (no, not a girlfriend, I wish though!) Julie, was more than happy to go to the gig. At the time I was living in Portsmouth so it was a good couple of hours drive to Exeter. We arrived and parked up then went into the gig. It surprised me how small and intimate the gig was, only around 200 capacity. The gig was great and loud, and when Joe mentioned that they wouldn’t be doing any ballads and only doing the loud rock songs, all the women began to boo loudly and all the guys cheered!! Well, the rock songs won! There was a bit of interplay between Joe and Viv, something along the lines of “We were going to play Let It Go but Viv dont know it” at which point Viv started to play the intro much to the loud cheers from everyone! anyway there was bit more banter and the gig carried on. After the gig the guys said their thanks and good night and would see us again sometime. At this point Julie said to me “lets try and sneak through that barrier and get out back to meet them”. I said we got no chance as their was a rather large looking security bloke there. to which she said leave it to me and promptly started to sweet talk him to try and get us through. well he was having none of it then she tried to play her trump card and said to him “how about I take care of you and give you a b*^” *”b” well, I choked on my coke! I could believe how brazen she was!! mind you neither could the bloke! and he still turned her down! no one in their right mind would ever turn down on offer like that coming from her but when he did she was totaly surprised and gobsmacked (’scuse the pun!). After realising she wasnt going to get her way we decied to finish our drinks and started to make our way out the main door when we noticed said security bloke was no longer at the barrier. we chanced our luck and made our way past the barrier and found ourselves walking down a coridoor and found ourselves out by the bands coaches. luckily no one really cared plus there was also a few other fans already there. so I had photos taken of myself and joe, and myself and viv as well as one with phil. Rick had already got on the bus plus we had a couple of pics with a few of us together. All in all it was a great evening and meeting most of the lepps was something else. Who knows what may have happened if she had got her way with the security bloke!! That gig was one of the best leppard gigs I have been to, the sound was great and you weren’t getting crushed by anyone and no one was in your way and everyone had a fantastic view of the band without even having to try!! It was just a perfect gig for me and i’m sure for others that were there. Well, should this be in the running for any prizes then i would surely love the hysteria singles artwork, it would look fantastic in my front room!!! 1988 was definitely my Def Leppard year as a fan! After attending the Sanremo Festival and a couple of Leps show in my country (Florence and Milan) I decided I had not enough and wanted more! That was the age of when-there-was-no-internet when even to know the tour dates list was almost a mission-impossible (Kerrang was a must!) and when for buying a ticket for a show anywhere in Europe from my country I had to battle against the Postal Office people…. However, easy choice for my next show, Bournemouth at the BIC on the 10th April 1988. First because that was my second hometown having spent months there studying English, working in a Pizzeria for earning some money (to be able to some London gigs). Second because the family I stayed with was and still is my “UK family” and still call them mum and dad. Well, I think I could go on and on…. So after a quick phone call to my “UK family” I even solved the problem of buying the ticket. The day before the show I arrived to Bournemouth and my UK mum tells me that she knows the manager of the venue and she would have tried to get me in for the soundcheck. Unbelievable to say that happens…..
First (and last) time in my life…. You know when you wake up in the morning and you take a while to understand where you are and what you have around yourself? That was exactly how I was feeling when I entered the BIC Concert Hall doors proudly wearing my W.O.M.A.N. cartoon shirt. I immediately got a bit of confusion front stage with some people running here and there and some loud music onstage. I remember I tried to get focused on the stage hoping to see Joe and the band: but I saw Loverboy while doing their soundcheck. Nevermind (even if my real words were something else …)!!! Then, just a second before thanking the manager of the venue and leaving the Hall I accidentally looked at those people front stage running and shouting: in the same moment the man with me said something like “Let’s go and see if they want to have a photo with you” and walked to those guys front stage. They were playing football front stage while Loverboy was soundchecking and I was walking to them!!!!!!! They were kind enough to stop playing, signing a couple of records, taking some pictures and even thanking me for travelling to see them! That was enough for me but, as they say, the best is yet to come. I went backstage after the show, or better went back of backstage meaning the backdoor of the venue to see them coming out. I got my missing autograph from Steve and Phil and all once again on the just bought Tour Book! At some point Rick came out of the door from the back of the venue drinking a beer. “Of course but I have only one arm and you have to keep my beer!”. In the meantime some other fans arrived to Rick waiting for their autograph. And I still had Rick’s beer in my hand. “Beer!” said Rick smiling to me. So I gave back to him his beer and getting the pen: this happened a couple of times. Than he thanked me for the help and joined the rest of the band eating. Be positive, smile and everything will be alright! The following morning I took the bus to London. The original plan was to go back home. But I headed for Wembley…..
My story takes place way back in 1981. I was fortunate to see Def Leppard open for Ozzy in Daytona Beach, Florida. It was one of my first concerts and definitely one of the most memorable! It seemed that everyone was in good spirits. Apparently, it was the last night of Ozzy’s tour. Def Leppard had played a practical joke by appearing on stage during Ozzy’s encore playing air guitar with brooms and wearing bags over their heads! After the show, I spotted Joe Elliot standing by the backstage load out door. I walked up to him and kindly asked if he and the rest of the band would sign my album covers. He obliged by stating that they were getting ready to leave the venue, however I could meet the group at the hotel lounge later that evening. So, I got in my car and followed their tour bus down the highway. After driving several blocks, the bus turned down one of the side roads leading to the beach. (The paved road ends and the beach’s sand road begins.) The tour bus stopped at that point and someone got off the bus to apparently let the driver know that the bus wouldn’t “bottom out” on the pavement end. Once the bus was completely on the beach, it then sped away leaving this passenger running after it. I proceeded to drive beside the man, obviously pretty angry. He hopped in my car and introduced himself as Rob Allen, Rick’s brother and Leppard’s tour manager. I followed the bus down the beach a short while until it’s destination. ( I think it was a Hilton hotel). The bus driver drove the bus too close to the beach wall of the hotel and became stuck. The band tried to help push it out of the deep sand. Realizing that wouldn’t work, they proceeded to walk up to the hotel and into the bar. Fortunately, I was able to obtain their autographs that evening which I still have to this day. Too bad I didn’t have a camera! BTW, if my entry is chosen, I would like to win the edition which is a compilation of all of the Hysteria singles. I have been a huge fan of Def Leppard for as long as I can remember. 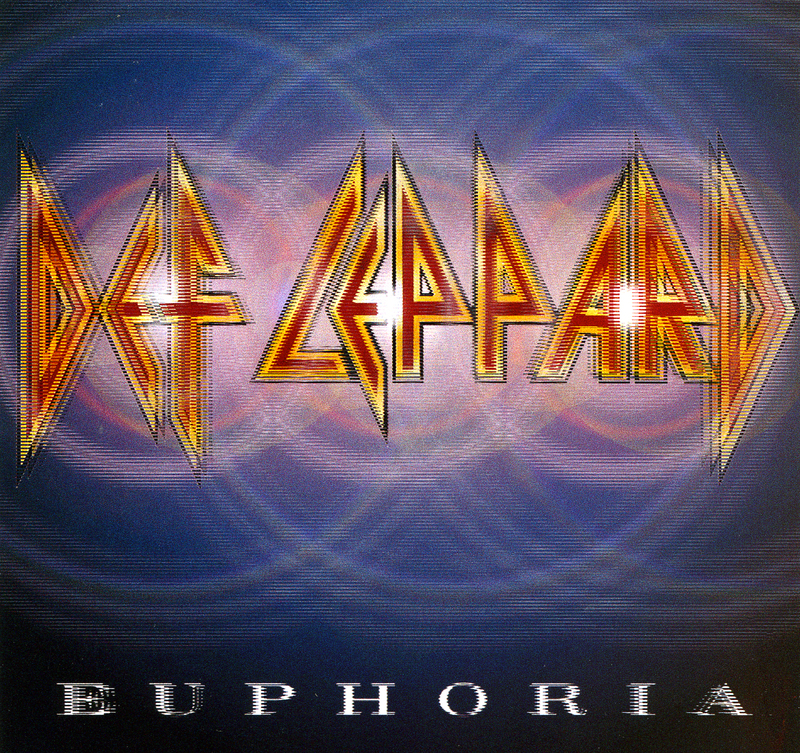 If you were to ask anyone who knows me who my favorite band is, they would all say Def Leppard. I have them downloaded on anything that is downloadable. My dream is to someday meet them. 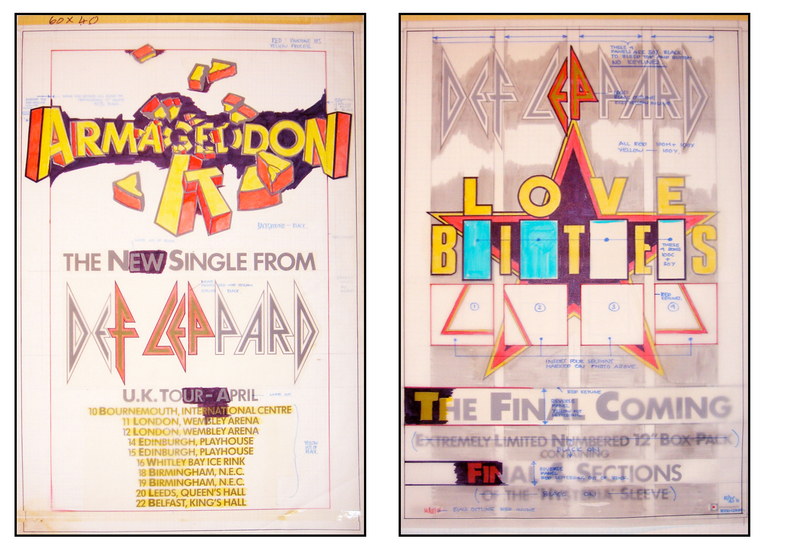 I have Def Leppard posters even up in my room, and I don’t know if it bothers my husband or not, but oh well. 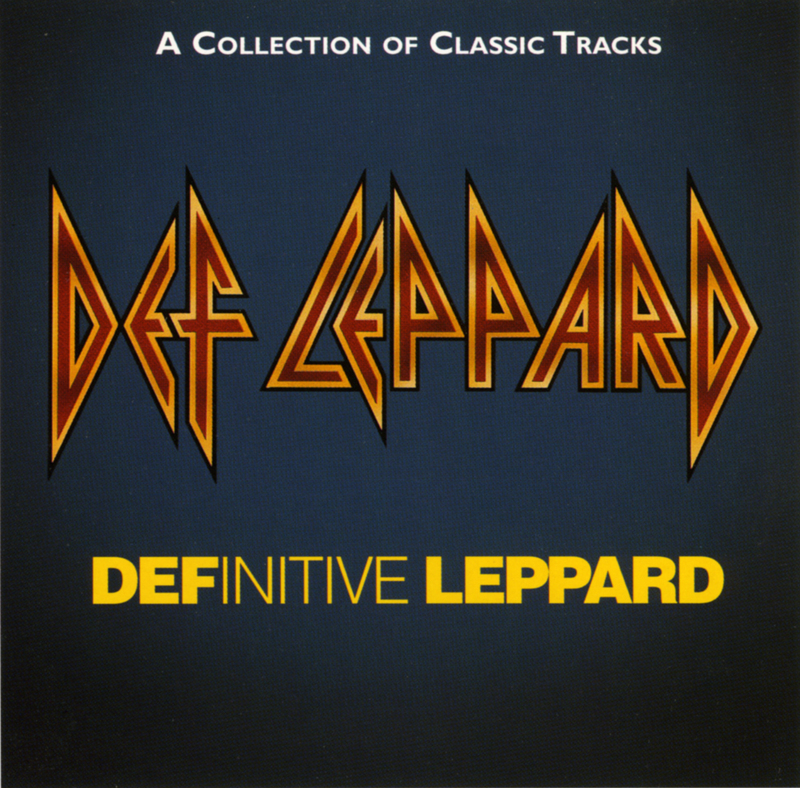 When I listen to Def Leppard, it’s like I can feel what they were feeling when they wrote the songs. The lyrics speak to me. It’s like I am there with them in the same room as they are writing these amazing lyrics. Steve Clark will forever be missed, but Vivian Campbell is a amazing artist and was a great addition to Def Lepp. 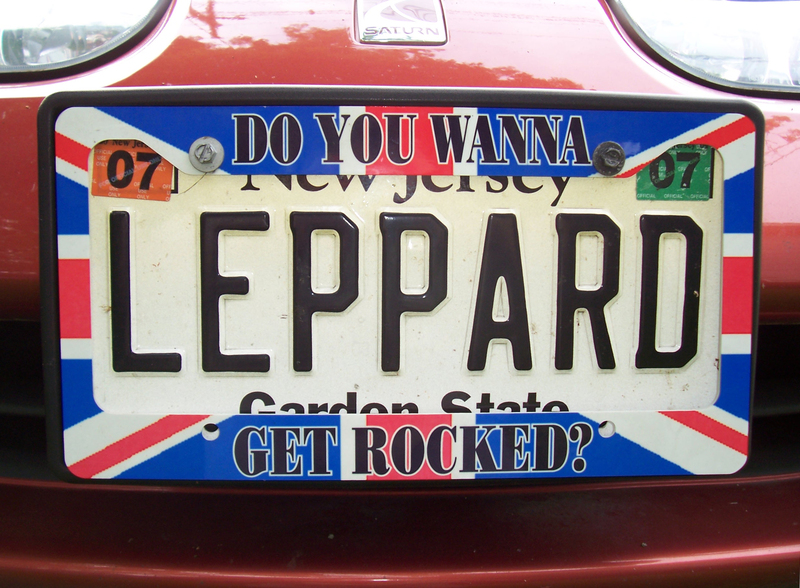 I don’t think that I can narrow down a favorite Def Leppard song because I love them all! I remember a recent experience over the past summer when Def Leppard came into town at Darien Lake Performing Arts Center in Rochester, NY. I was so excited to see them, as well as Poison and Cheap Trick. I had never seen Poison and Cheap Trick before, but the one I was looking forward the most to seeing live again was Def Leppard. I would have paid anything for the seats that I had. I went with 4 of my friends, and they knew who I wanted to see the most. When we got to Darien Lake, we found out that Cheap Trick was not going to be there due to bad weather in NYC. We were a little upset because we had wanted to see them in concert. No worries though-Def Leppard and Poison were still going to play. I wanted to get access to the meet and greet Def Leppard put on before the show. My friends know how bad I want to meet them, so we asked just about every employee there was how we could get backstage to meet them and get into the meet and greet. We asked the guest service booth, security, janitors, other fans, etc. I even went up to a DJ from a local radio station and asked what I had to do to go to the meet and greet. He acted like he had no idea what I was talking about. He knew…..he just didn’t want to tell me. After he said he couldn’t help us, we walked back over towards the guest service booth. The gentleman at the booth was so nice, he motioned for us to come over to talk with him. We walked over, and he said that he knew how bad we wanted to go backstage (I had previously explained to him that other fans had said that after the shows they would wait near the tour buses and near the backstage entrance and when the band members came out, they would be gracious enough to autograph things and take pictures with their fans) and meet them, he said that he found out that he could have gotten us backstage, but the meet and greet was earlier before the gates opened. He said if he would have known that before, we may have gotten to be able to get in for the tail end of the meet and greet. I felt like someone ripped my heart out of my chest. I have waited forever to be able to meet them, and I almost had the chance. We thanked him and told him how much we appreciated that he thought of us enough to try to get us backstage. The kindness of strangers. After we sat back down, we had a amazing time at the show. Def Lepp and Poison put on a longer set and we rocked out the entire night. I sang along to every single song and even the security guard near where our seats were was amazed at how I knew every single word to every single song. Even one of the local classic rock stations in town, the DJ during the work hours knows who I am by name and knows that I request Def Leppard songs to be played every friday when listeners can call or email into him and request songs. He calls me “Def Leppard girl”. If I am chosen as the lucky winner, my pick of the most fabulous artwork would have to be narrowed down to Def Leppard “Nine”. I love the artwork on it and I love how the nine tiles make the album cover. It is amazing to me and all of the artwork is beautiful and classic. 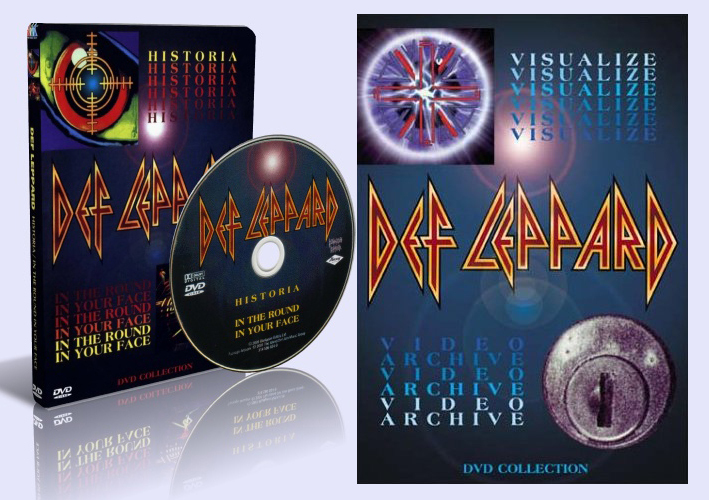 I’ve really enjoyed reading your Def Leppard album/single blog entries and would like to enter your fan contest. Like countless other Lep fans, I consider Hysteria to be my favorite album and album cover of all time. Forgive me for submitting two stories, but I wanted to share both of them. The first time I saw Def Leppard in concert was on the Hysteria tour, when they played two shows at McNichols Arena in Denver in February 1988. My parents decided I was too young to see them on the Pyromania tour. I was heartbroken, but I waited patiently for the next tour. Who knew it would take more than four years? The first Def Leppard vinyl I ever bought was the “Rock of Ages” 12” single and I became an obsessive Leppard vinyl collector at that point. Joe Elliott made a “Guest DJ” appearance at 106.7 KAZY before the first Denver show and hundreds of fans came out to greet him. It was practically a mob scene as everyone tried to get closer to Joe. While he was on the air, the radio station staff instructed all the fans to line up single file along the side of the building. They explained that Joe would be happy to meet everyone and sign autographs as long as everyone stayed in line and don’t rush him. The plan was good in theory, but it didn’t work. After signing just a few autographs, a big group of impatient fans surged toward Joe. Within seconds, he was pushed into a waiting car and they drove off. Looking back on it now, we were a little carless but it was a thrill to meet Joe and tell him how much we appreciated Leppard’s music. Both Denver concerts were filmed for what became In The Round, In Your Face. We had third row tickets and ended up in the film as well as the “Pour Some Sugar On Me” video. It’s “Where’s Waldo” quick but you can see me jumping off my chair with a poster in my hand around the 3:45 mark. 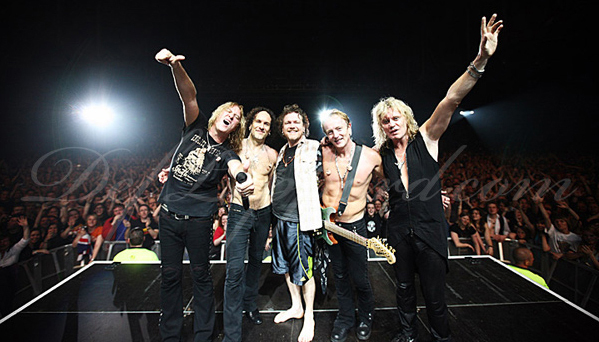 In December 2002, Leppard played Denver’s Magness Arena on the X Tour. A friend of mine worked for the promoter and he asked Malvin Mortimer if it would be OK to squeeze two more people into the meet and greet. Malvin agreed and we were ushered backstage after the show. After an hour or so, Phil and Viv came out to take photos and sign autographs. I had a Hysteria poster with me for the guys to sign, but I didn’t have a camera. A 20-year-old kid tapped me on the shoulder and offered to take a picture of Phil and I with his disposable camera. Turns out the kid and his buddy drove all the way to Denver from Omaha, Nebraska – an eight hour drive. After he took the photo, I wrote down my name and address and asked him to send it to me. Phil is my favorite guitar player of all time, so I anxiously checked the mail every day after the concert waiting for the picture. 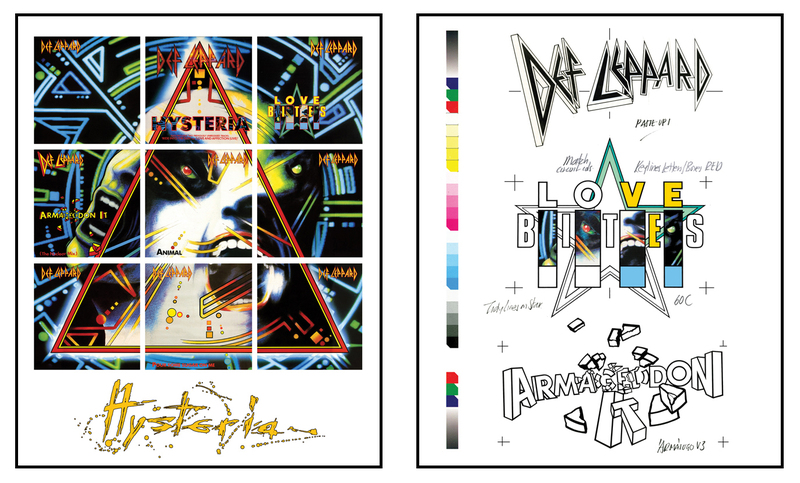 Anyway, thank you for all of your hard work on the Pyromania and Hysteria album sleeves. These iconic images are a big part of my life and I have framed copies proudly hanging in our house. 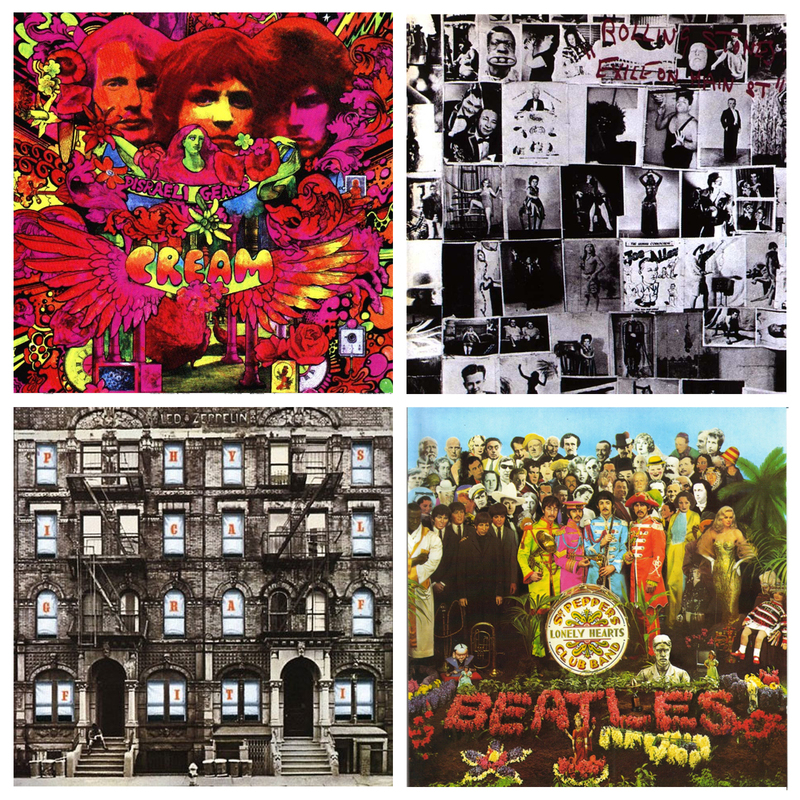 20-25 years later, it’s almost embarrassing to see some of the album covers that bands release. It’s like they have third graders working for them. Best wishes and Happy Holidays! On Thursday 18th six more FANSTORIES will be published at the end of the blogpost on ‘Euphoria‘. From then on in – the weekly blogs will be back to the usual Thursday publishing day. 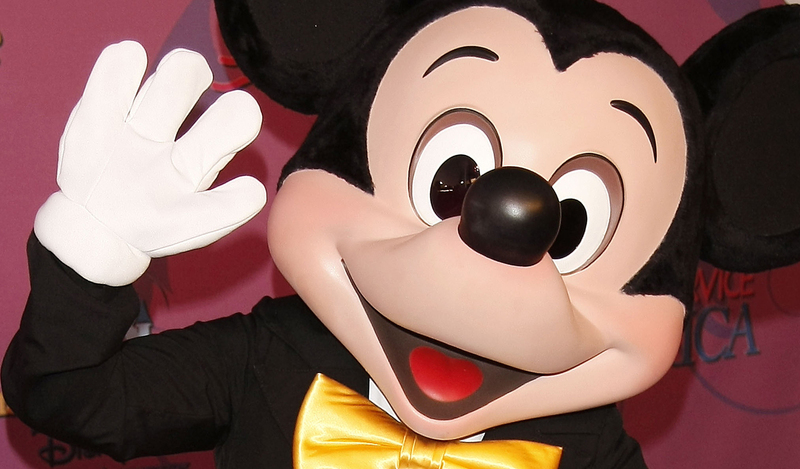 After ‘Euphoria‘ we are into MACCA and MICKEY … finally! Having narrowed the entries down to 20, tonight the judges will choose the final 3 ‘FAN’TASTICO’s who will win Editions of their choice – those who moved us, astonished us and made us laugh. You’ll be pleased to know the Judges (Ricky, Max, Rewa and myself) have been beacons of sobriety all week and been in training now for over a week in preparation. (Special Training Award goes to Max who managed to fall UP the stairs during training last Saturday.) Apart from the winning entries to be publshed on Friday, other Fans’ stories will be published at the end of the last (for now!) 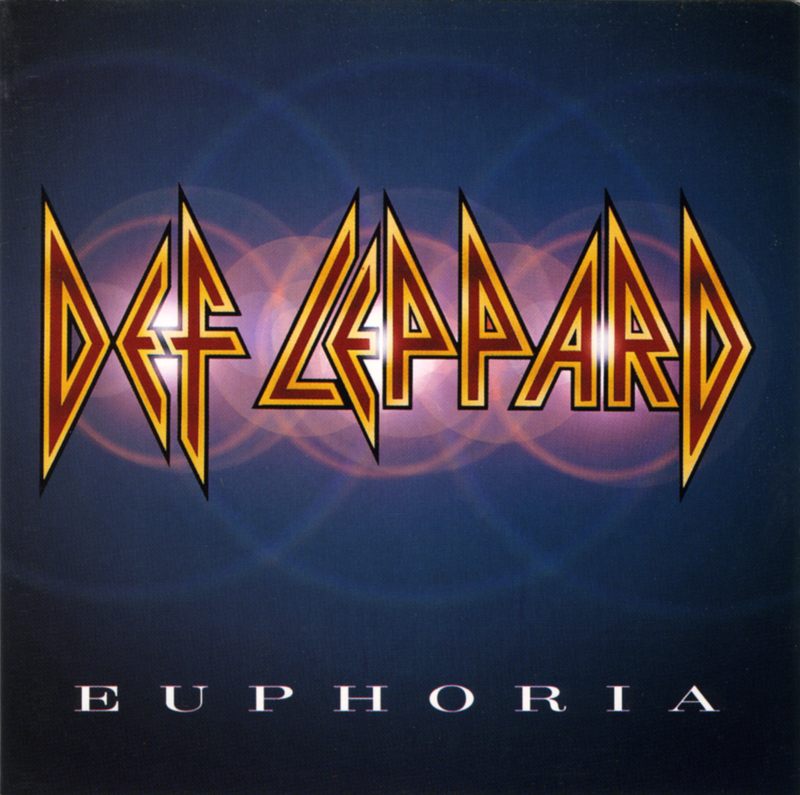 DEF LEPPARD blog on ‘Euphoria‘ next week . There have been some real insights into what makes music (and our heroes and heroines) such an important part of who we are. Thanks to everyone for taking the time to tell your stories – it’s been brilliant to read them all.